Alaska Native News Nov 2, 2018. While investigators with the Special Crimes Investigation Unit was in the Dowling area on Halloween evening, they reported that they had seen a man known to have a Felony Eluding warrant driving by the area in a vehicle. Troopers immediately called in the sighting at 4:20 pm. AST followed the vehicle and with assistance from Anchorage Patrol Officers conducted a traffic stop at Tudor and Arctic. 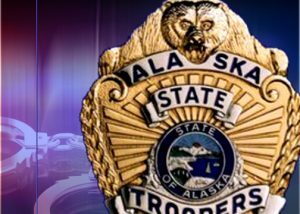 Following his arrest, 30-year-old Austin Banks was transported to the Anchorage Jail and remanded there on his $2,500 warrant in his open cases of Forgery,Theft, Reckless Driving and Eluding.